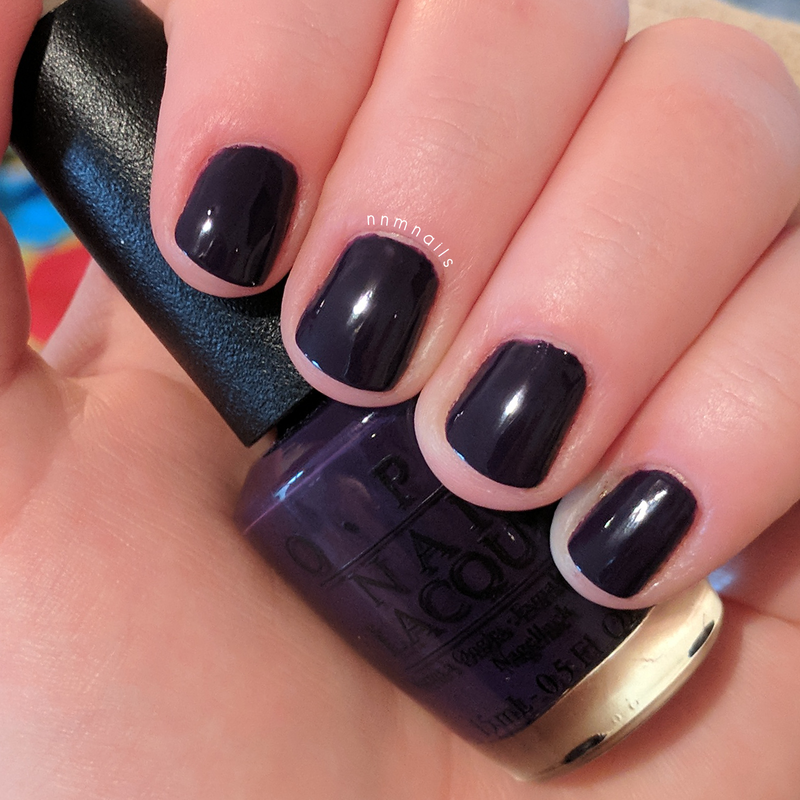 A deep, dark purple polish perfect for people prefer a darker, horror filled Halloween. 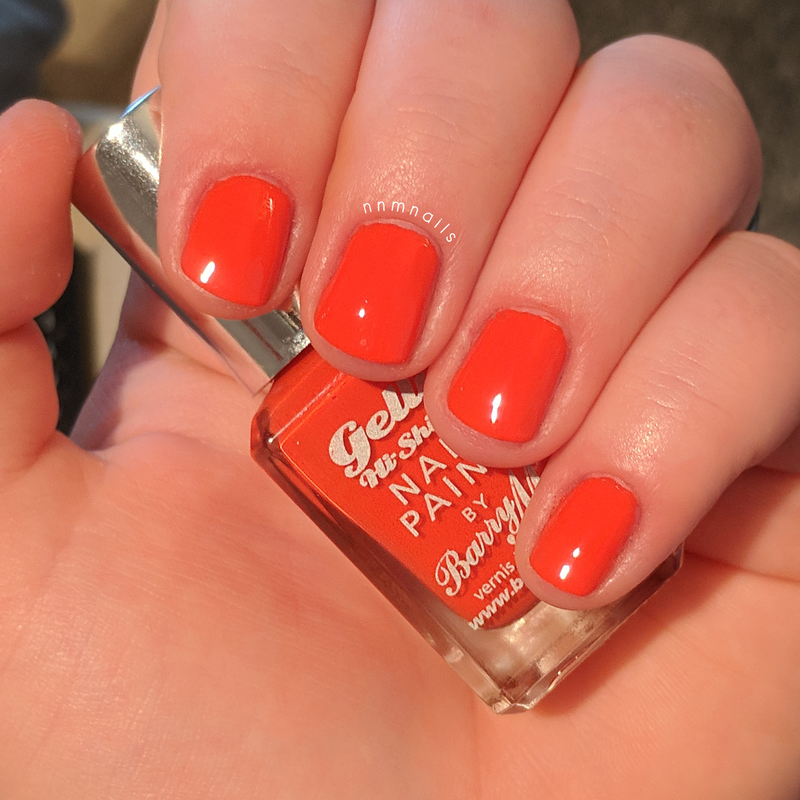 Released as part of OPI's 2014 Coca Cola collection, it's a simple creme polish but a great and classic choice for the Halloween season. 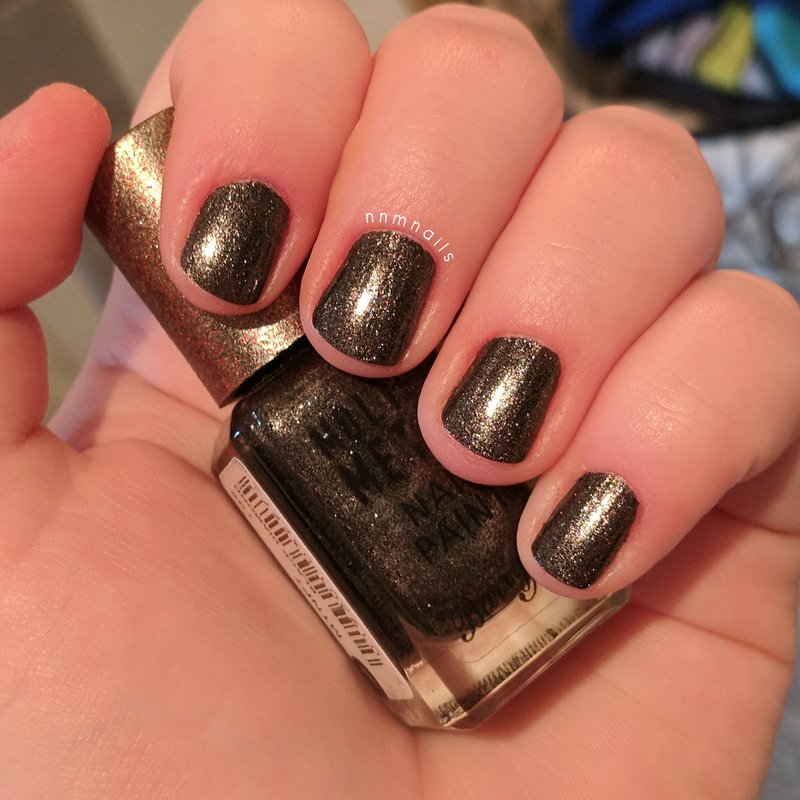 A black glitter polish, part of Barry M's Molten Metal collection that I adore, perfect polish to wear as part of your dark witchy costume this All Hallows' Eve. A bright, almost sickly green (in my opinion), a great Halloween colour. Works great as a base for Halloweeny nail art designs. 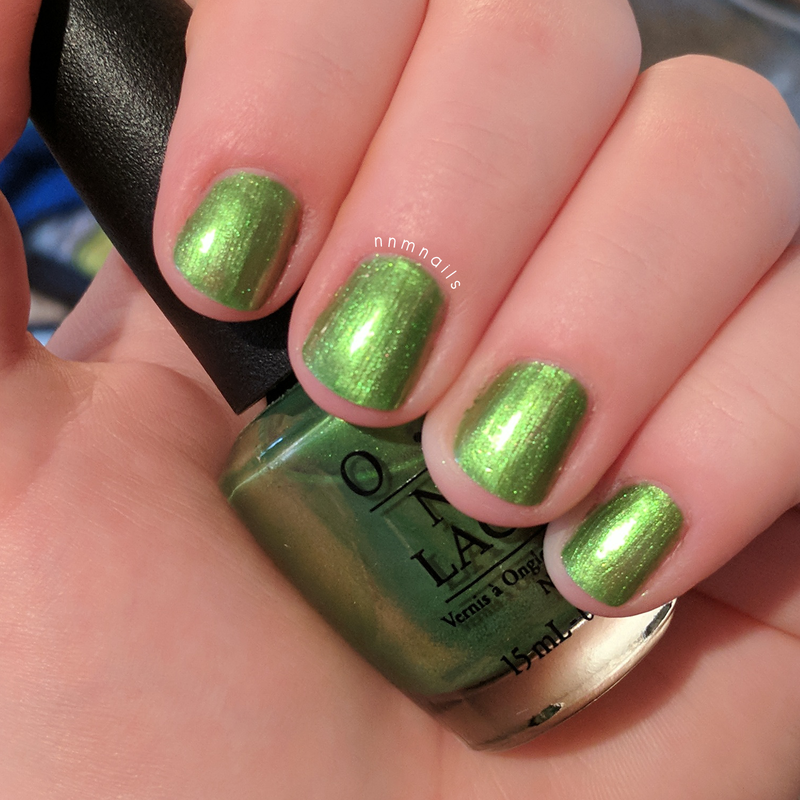 Released as part of OPI's 2015 Hawaii collection, this polish has a pearl finish which adds a tad more mystical feel to the polish over just a creme green. 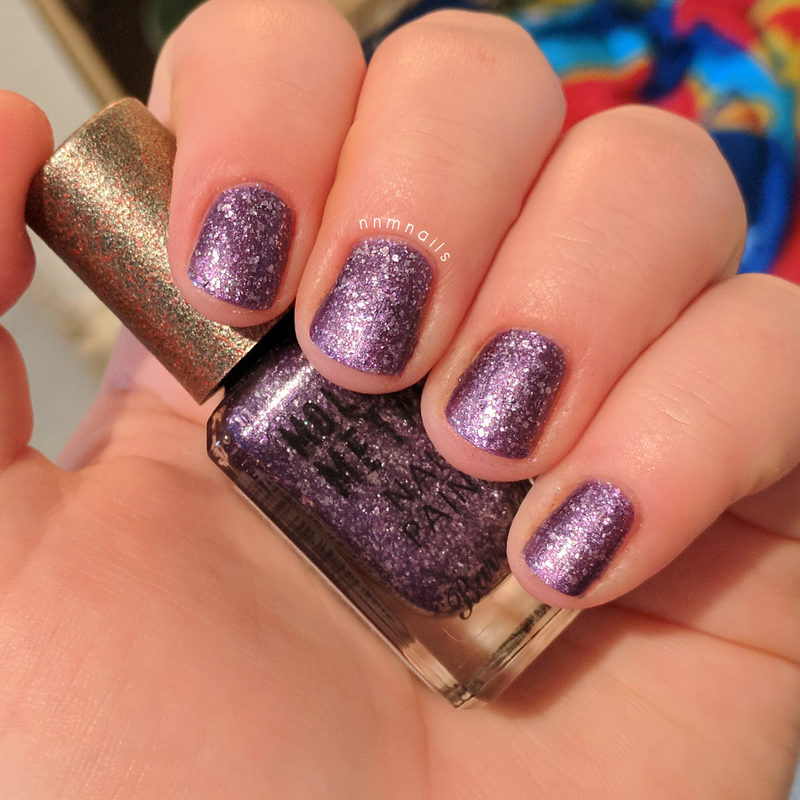 Purple Frost is the latest addition to the Molten Metal collection and is one of my favourite polishes at the moment, a bright purple with silver glitter and metallic flakes. I use this a base polish for a nail design I will be posting next week. 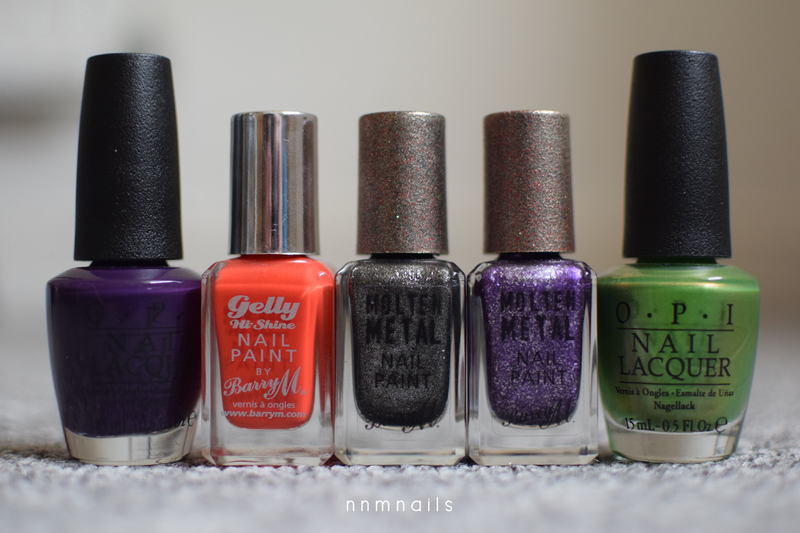 This will probably be my go-to polish this Halloween. Although I love Purple Frost a ridiculous amount, nothing beats a classic orange colour for wearing on Halloween, and that is why Satsuma tops my list. Darker than a lot of orange colours, this has quite a bit of red tone to it. Whether wearing it on it's own or as part of a design, this pumpkin coloured polish is a great choice for Halloween.